Please Check in with your cosplayer/photographer to make sure they are on board with being published and discuss print rights with them. Submitters must be copyright holders. You will be responsible if a claim is made against Cosplay Realm Magazine for copyright infringement. You are welcome to send as many photos as you want for consideration in your feature, but only a select # of images will be chosen. The amount of images we choose will be dependent on the variety of cosplays or shoots provided. The stronger your images the more likely we will be to feature more! We send out tear sheets within the first 48 hours post release date of each issue. You are allowed to post your tear sheet (s) on your websites and or social medias with proper tagging. CRM does not provide free print copies. CRM will not be held accountable for misspelled or missing credits; it is the submitters responsibility to correctly provide this information. Should you forget a credit or misspell them we will NOT change it after launch. So it is extremely important to get this information correct the first time. 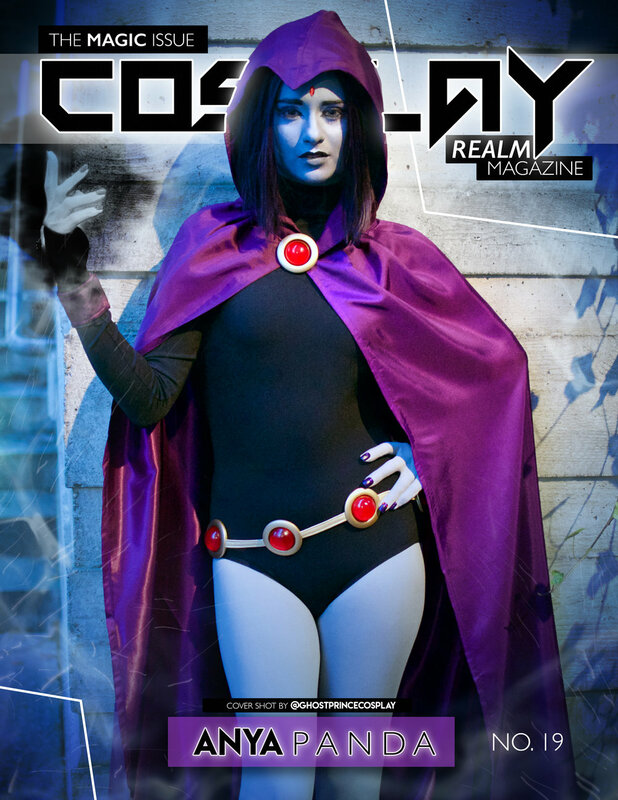 By emailing us your submission to Cosplayrealmmagazine@gmail.com you hereby grant Cosplay Realm Magazine permission to use the photography submitted in their publication, including their website & internet postings. You verify that you have the right to publish the people in the pictures and that you own the rights to have these pictures distributed, published, or otherwise promoted by Cosplay Realm Magazine as they see fit for their publication. 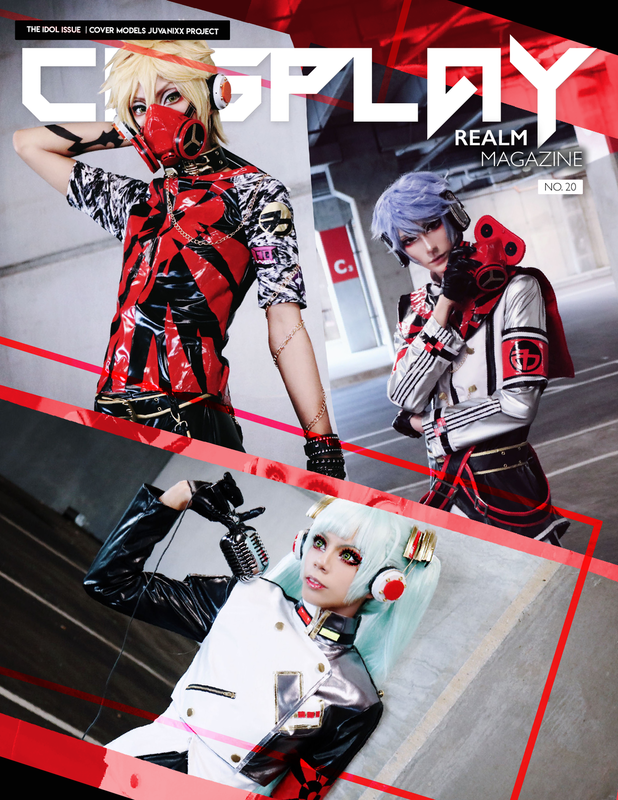 You understand that the picture(s) submitted to Cosplay Realm Magazine may be used in their publication in print or digitally as well as on their website and other internet postings. You understand that by submitting to this publication only allows Cosplay Realm Magazine to use your photos in their publication, and at no time will Cosplay Realm Magazine assume rights to the photos themselves, other than you allowing them the right to publish the photos submitted and should they then post pages from the publication on their website or in internet postings. You understand that you will not be financially compensated or given a free magazine. You hereby authorize Cosplay Realm Magazine to copy, exhibit, publish or distribute these photos in their publication for purposes of publicizing Cosplay Realm Magazine in their publication, website or internet postings or for any other lawful purpose. You certify that the person or ALL person(s) in the photo(s) are at least 18 years of age. If they are under the age of 18, you certify that their parent or legal guardian has given approval. As the provider of submission, you also understand that submissions of content, or completion of release, is not a guarantee of publication. If work is published, it is the duty of the provider (and not Cosplay Realm Magazine) to notify all involved parties of their involvement in the final product.